Lavender Ridge Wine & Seascape cheese with “Fun Nuts” I’m so excited about the upcoming cheese event at Lavender Ridge in May, that I woke up dreaming of making this and which wine to pair it with. Looking forward to doing more of this, and will post on my site. 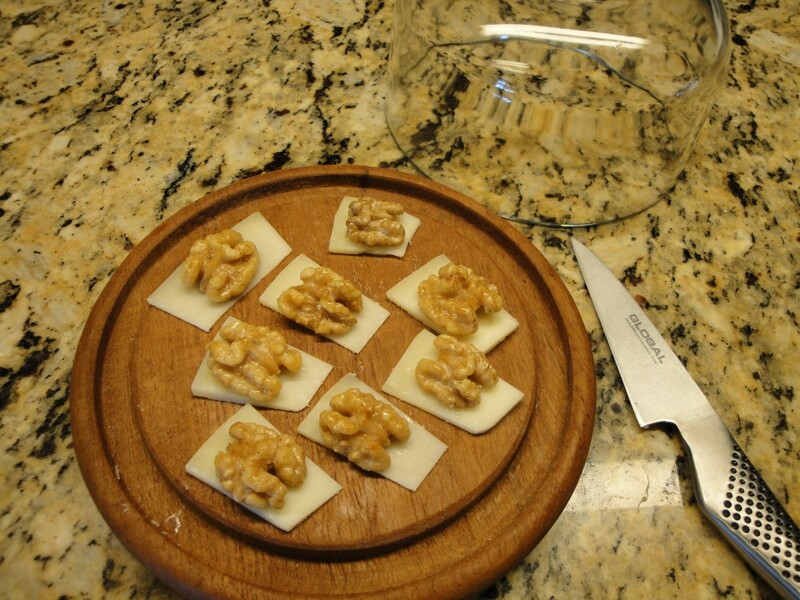 I made a fresh batch of “Fun Nuts” ( details are on my blog) sliced some Seacape from Central Coast Creamery and on each one I placed half a walnut, then let them set under the dome, while I worked on dinner. About 1-2 hours later I served them to my family, and something magical had happen. The tannins in the nuts had mellowed, the cheese was sweeter, softer and lingered longer on the tounge, with an even richer mouth feel. Now the question was, what wine? I thought Lavender Ridge Roussanne or maybe even Viognier, but my family, insisted red. I’m stumped, which would you think, and which red if you went that way?